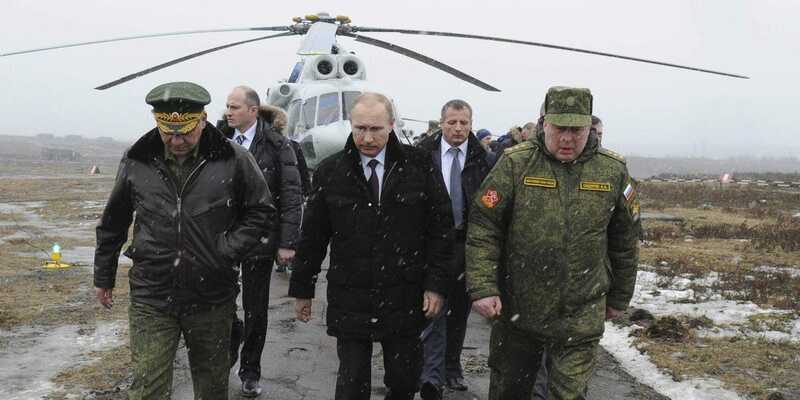 Russian President Vladimir Putin signed off on a new military doctrine for the country on Dec. 26 last year. The new doctrine, beyond explicitly stating that NATO’s expansion was the main external threat facing Moscow, calls for reinforcing three geopolitical fronts that Russia sees as part of its existential security. In the coming years Russia will focus considerable resources in developing and maintaining a strong military presence in the Arctic, the recently annexed Crimean peninsula, and the Russian exclave of Kaliningrad on the Baltic Sea. “In 2015, the Defense Ministry’s main efforts will focus on an increase of combat capabilities of the armed forces and increasing the military staff in accordance with military construction plans. Much attention will be given to the groupings in Crimea, Kaliningrad, and the Arctic,” Russian General Staff chief Valery Gerasimov said, according to Russia’s Sputnik news agency. Each of these three regions is vital for Russia’s goal of checking NATO expansion while simultaneously maintaining access to potential natural resources, as in the case of the Arctic, and warm water shipping routes. RIA Novosti/ReutersPutin walks to watch military exercises upon his arrival at the Kirillovsky firing ground. Russian military expansion in the Arctic has been a major goal for Putin for much of the past decade. 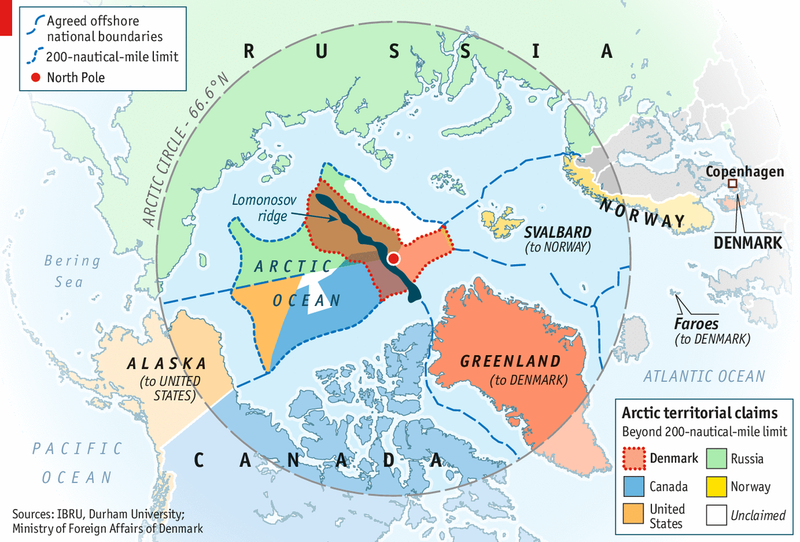 The new military doctrine officially puts special focus on the region and advocates a greater Russian role in the region to help ensure access to potential energy resources on the Arctic sea bed against possible Danish, Norwegian, Canadian, and US claims. The US estimates that upwards of 15% of the earth’s remaining oil, 30% of its natural gas, and 20% of its liquefied natural gas are stored in the Arctic sea bed. Moscow has undertaken a construction blitz across the Arctic in a bid to ensure that it remains the unchallenged military power in the region. Russia is constructing ten Arctic search-and-rescue stations, 16 deepwater ports, 13 airfields, and ten air-defense radar stations across its Arctic coast. Simultaneously, Moscow has created Joint Strategic Command North (JSCN) from components of the Northern Fleet in order to maintain a permanent military presence in the region. It is likely that this command will become a fifth military district. According to the Polish Institute of International Affairs (PISM), JSCN will include a naval infantry brigade, an air defense division, an Arctic mechanized brigade, a coastal missile defense system, and missile regiments to outlying archipelagos in the Arctic Ocean. REUTERS/David MdzinarishviliMilitary personnel, believed to be Russian servicemen, stand guard outside the territory of a Ukrainian military unit in the village of Perevalnoye outside Simferopol March 4, 2014. 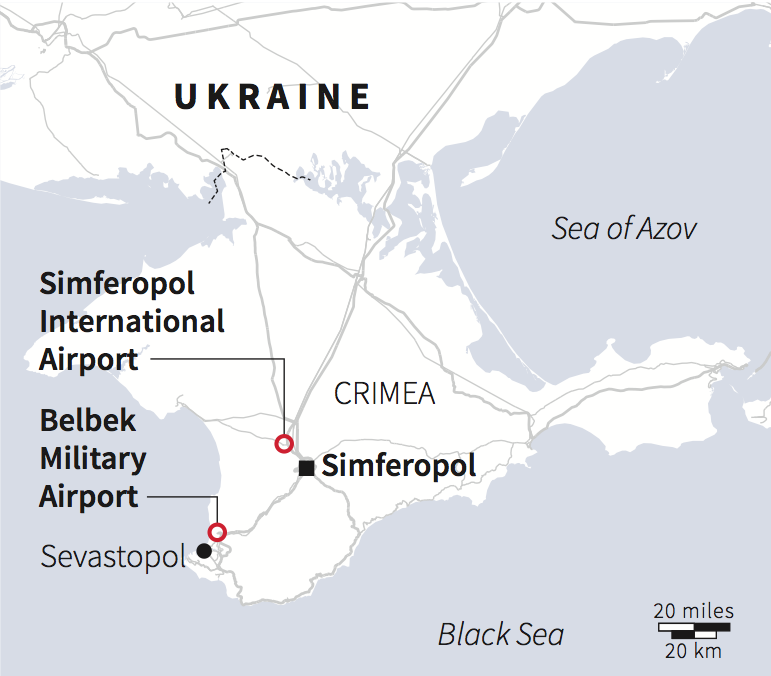 Since annexing Crimea in March, Russia has further militarized the region and entrenched itself into the peninsula. PISM notes that Russia is developing a “rocket-artillery regiment equipped with Khrizantema, Msta, and Tornado-G missile defense systems.” In addition, Russia’s Black Sea Fleet, which is based in Crimea, is being retrofitted for duty with new ships and better equipment. General Philip Breedlove, head of the US European Command and NATO Supreme Allied Commander Europe, said in November that Moscow has started a military buildup in the peninsula includes cruise and surface-to-air missiles. These systems allow Russia to exert “military influence” in the region. In December, Russia’s Foreign Minister Sergei Lavrov made waves by declaring that since Crimea was part of Russia, Moscow had full rights to deploy nuclear weapons into the region. However, neither Russia nor the US can technically move any strategic nuclear forces without notifying the other without breaking the 2010 New START treaty. Moscow says it might revise its commitment to START. If Russia continues to feel threatened by NATO, it could be possible that Moscow would move nuclear weapons to Crimea as a deterrent against any perceived aggression. The use of nuclear weapons defensively remains a part of Russia’s new military doctrine. 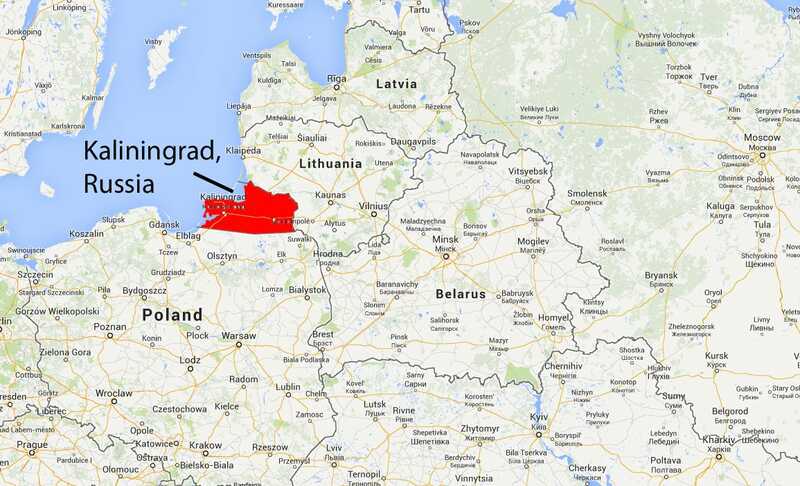 Russia’s third area of focus is the exclave of Kaliningrad. The small piece of territory is wedged between the NATO states of Poland and Lithuania on the Baltic Sea. During the Cold War, Kaliningrad was heavily militarized as a possible strike position against NATO. The small piece of territory remains a key part of Russia’s ability to bring threaten the West. Since at least 2012, short range ballistic missiles have been deployed in Kaliningrad. The territory also hosts the Russian Baltic Fleet as well as the Chernyakhovsk and Donskoye air bases. The twin air bases have played a significant role in Russia’s policy of aggressive aerial incursions into NATO airspace since the start of the Ukraine crisis. Russian spy planes, fighters, and bombers have flown into and out off Kaliningrad before being intercepted by NATO’s Baltic air-policing mission. There have been unsubstantiated reports that Russia may have moved nuclear weapons to Kaliningrad after the US announced plans, that were later retracted, to build a missile defense shield in Poland. A 2002 Congressional Research Service report released through Wikileaks cited the possible presence of nuclear weapons based in Kaliningrad. In May, Russia unilaterally suspended an agreement with Lithuania that allowed both countries to inspect each other’s armed forces. 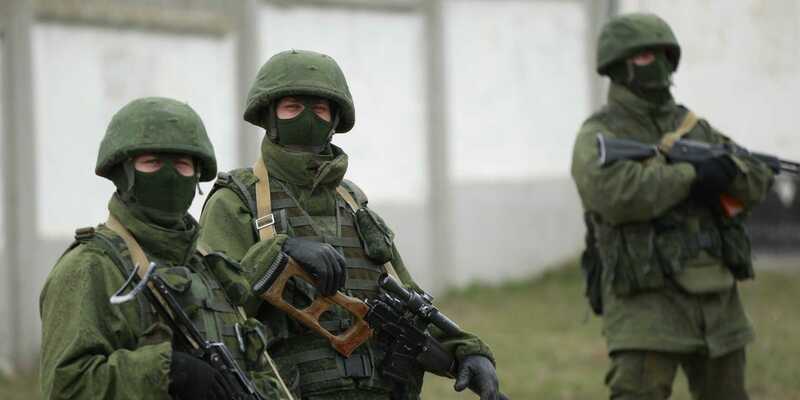 The treaty stipulated that as part of efforts to foster mutual trust, Lithuania would be able to have free access to all Russian arms in Kaliningrad once a year in return for Russia’s ability to inspect all of Lithuania’s military forces.